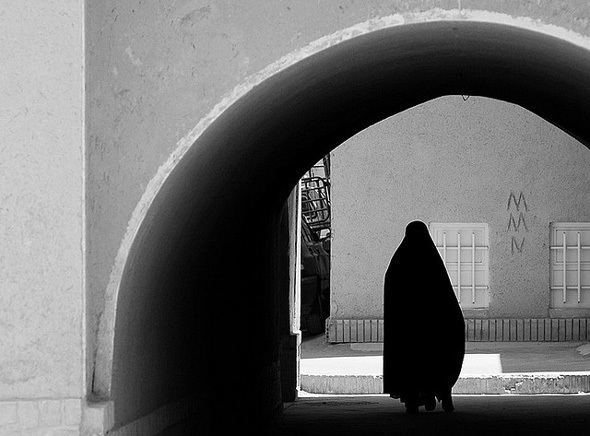 In late July, Iran’s government announced that it would no longer fund family planning programs, a dramatic reversal following 20 years of support. The change is especially abrupt for a country that has been lauded as a family planning success story, with thorough rural health services and an educated female population contributing to one of the swiftest demographic transitions in history. Although Iran’s government is headed by a conservative religious hierarchy and President Ahmadinejad had earlier implemented some pronatalist policies, the decision is still surprising for several reasons. It is also unlikely to meet its objectives; irrelevant to deeper economic concerns; unlikely to be popular; and most disheartening of all, a tremendous step backwards for individual empowerment and wellbeing. Once family planning services are as widely available and adopted as they have been in Iran, demand for them is well entrenched and unlikely to ebb. Use of family planning offers several benefits that are tangible to individuals and families as well as societies: It improves the health of women and children while also promoting higher educational attainment and household incomes. Iranian women and couples are cognizant of these benefits and unlikely to cede them. Nearly 60 percent of Iranian women of reproductive age used an effective contraceptive method in 2002, the most recent year for which data is available. Moreover, access to reproductive health services has been widely accepted as a human right for decades. Ironically, one of the first international accords “that couples have a basic human right to decide freely and responsibly on the number and spacing of their children and a right to adequate education and information in this respect” was affirmed in Tehran in 1968. The Iranian government’s decision to limit such access is a clear refutation of this right. From a demographic perspective, the government’s attempt to make family planning services unavailable or unaffordable is unlikely to meet their stated objective of motivating larger families and higher population growth. The government has already tried a more common approach for boosting fertility rates, offering direct payments to families for each child at birth and each successive year until adulthood. Such financial incentives have been implemented in several other low fertility countries, but as demographer John May has noted, they are typically much less effective compared to more comprehensive approaches addressing child care, work-family balance, and housing. It is unusual for a government to take the more draconian step of restricting public access to contraception, whether through economic or legal means. One parallel is Romania during the Ceausescu era. Contraception was banned in 1966 and without access to family planning, women turned to illegal abortion. After an initial jump, fertility rates began to fall steadily, and by 1989 the country had the highest rate of maternal mortality in Europe. Although Iran’s government has not outlawed contraception outright and it should remain available through the private sector, cutting back services will create serious implications for lower income women who rely on public services. As the Romanian experience demonstrates, the desire to determine family size does not dissipate when contraception becomes unavailable. The stated justification for the government’s decision is to avoid population aging and eventual decline if fertility rates remain below replacement level. However, this rationale overlooks the serious economic constraints that are affecting all Iranians, particularly those of childbearing age. Until recently, the number of people ages 15 to 24, who include most entrants to the labor market, was growing steadily due to past high fertility. Youth unemployment stands around 23 percent, and a RAND analysis described the challenge of ensuring that these young people find jobs as “one of the most pressing social and economic problems the government has faced.” As the country urbanizes, the cost of living has risen sharply, exacerbated by the inflationary effects of international sanctions. As these challenges diminish young people’s economic prospects, they also serve to further tamp down fertility, limiting the government’s chances of success at markedly increasing population growth. Sources: Associated Press, Crane et al. (2008), Financial Times, Gribble and Voss (2009), Hord et al. (1991), Kligman (1998), May (2012), New York Times, Roudi (2010), Singh and Darroch (2012), UN Population Division, World Bank. Photo Credit: “MMN,” courtesy of flickr user Emdadi (Mohammad Emdadi).